​GET 2017 Day 11, March 28, Tuesday. Start on route to summit of Cottonwood Mountain, segment 8 mile 28 of 36. End Klondyke Road, mile 1.9 of segment 9. 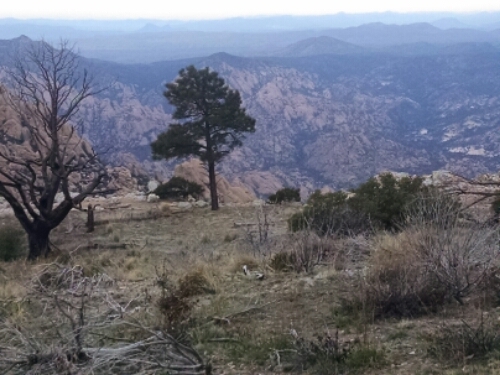 The view coming down Cottonwood Mountain in the early morning is a good start to the day. I heard snow pellets hit the tent last night, but it was melted in the morning. 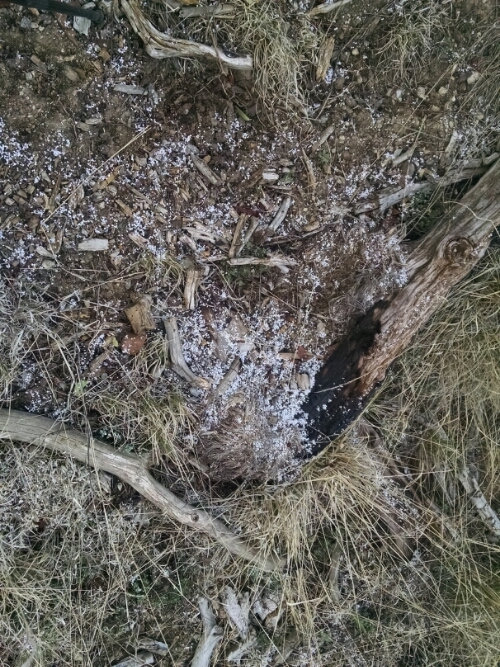 Here is proof, as snow pellets piled up in spots along the trail. ​GET 2017 Day 10, March 27, Monday. I start the day following a creek drainage for several miles. 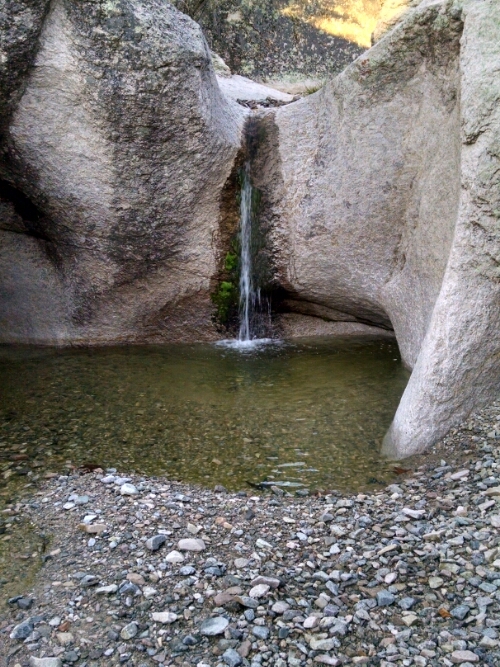 A small fall at one of several drop-offs gurgles onward. Continuing along drainage of Black Rock Canyon designated Trail 292, I start to see footprints as the trail merges with the main GET route. ​GET 2017 Day 9, March 26, Sunday. 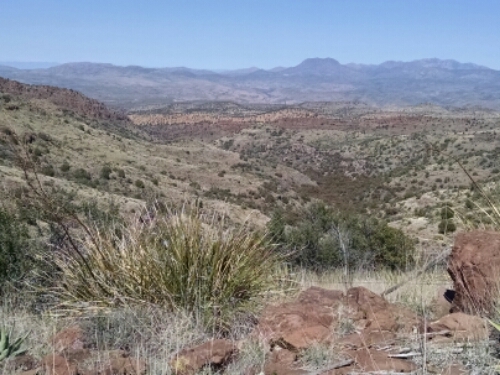 Start at rim of Turkey Creek Canyon, near segment 6 alt mile 30. 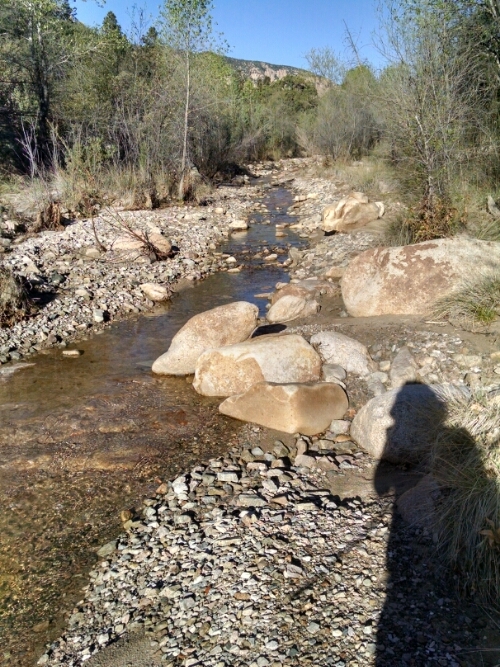 The trail descends down to the bottom of Turkey Creek Canyon. 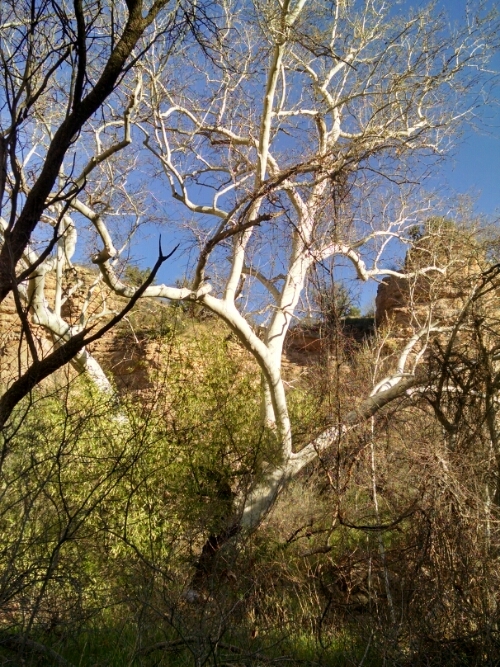 Trees with peeling bark that look like sycamores are at the bottom, growing where you would expect cottonwoods. ​GET 2017 Day 8, March 25, Saturday. 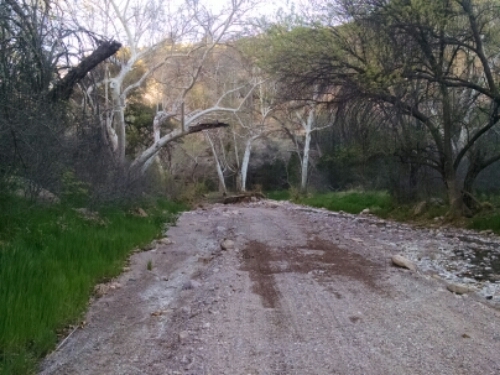 End at rim of Turkey Creek Canyon, near segment 6 alt mile 30.